Panchuka is the last five days of Kartik month in Odisha and people abstain from all types of non-vegetarian food during the period. Panchuka in 2019 begins on November 8 and ends on November 12. 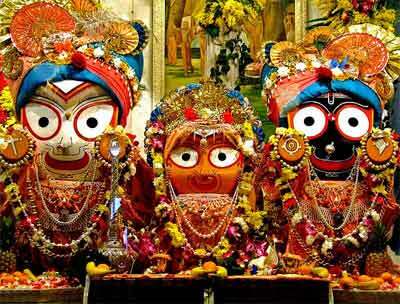 The period is of great significance to Lord Jagannath devotees. Traditionally, staunch devotees of Lord Jagannath abstain from all type of non-vegetarian foods during the entire Kartik month but those who are unable to follow it, observe it during the last five days of the month. Panchuka begins on Ekadasi day during the Shukla Paksha in Kartik month and ends on Kartik Purnima. Panchuka is strictly observed elderly men and women and many of them stay in Puri and visit the Jagannath shrine during the period. The five-day period is also of great significance in Puri Jagannath Temple. Thousands of people who are observing Kartik Brata for the entire month gets an opportunity to have darshan of Lord Jagannath in five different veshas or attire during the period. Garuda Dwadasi and Tulsi Puja are observed during the Panchuka.